Now available via Mike Moses’s webstore- The Deck of Cures. Tattoo flash reimagined, the set contains 54 individual ready to tattoo designs. THE DECK OF CURES is the first ever tattoo flash set from Mike Moses. The deck comes shrink wrapped in a mega glossy tuck box and is comprised of 54 individual 3.5×5.75″ high quality cards. The cards themselves are 310gsm linen with a durable and smooth satin finish and a light texture that won’t translate into photocopy. The black only designs are easily transferable to stencils and have a built in hard shading reference. Use them as is, or add your own unique color scheme for a collaborative effort. The deck is durable, easy to carry, easy to use, and above all, friggin’ sweet. It’s always a good day when I get information on a new Yellow Beak Press project in the mail. 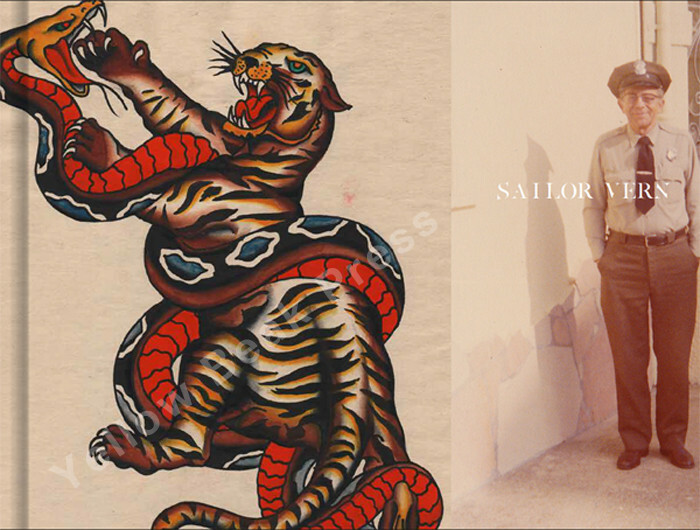 In 2015, Yellow Beak Press will be releasing their upcoming biography Sailor Vern. 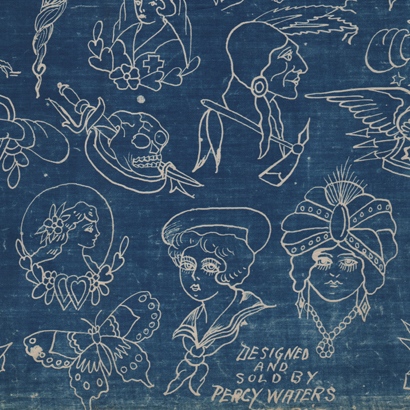 Leading up to the release of the Sailor Vern book, Yellow Beak Press will be selling limited prints of selected Percy Waters blueprint sheets from Sailor Vern’s personal collection. They will be 18×24 offset printed posters on 80lb gloss paper. Every one of these sheets carry with it classic imagery from one of the greats, presented in Waters’ unique printing method. We will be releasing each sheet individually over the course of the next few months and will reveal more detailed descriptions of each as they are listed. The first in the series will be released this week! Available now in the Yellow Beak Press store. 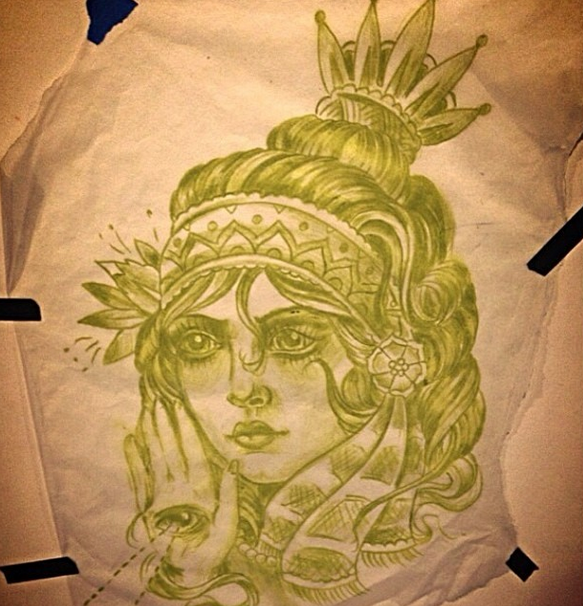 Aaron LeGore will be selling them as well on ebay and through his shop, Calamity Jane Tattoo (970)424-5065. Stay tuned for more details about the Sailor Vern book and follow us on instagram @yellowbeakpress or check our blog for more updates! The photos I’ve seen from the book are amazing; when the pre-order comes out I’ll get the information up.